It OK to let the stormy weather trap you inside sometimes. You don’t have to miss out on being active or catching an adrenaline rush just to avoid the cold. Climbing gyms are the perfect way to work out the whole body and mind when the ice and snow start to blow. 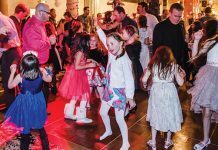 The region is home to several gyms that each offer unique features making it easy to push yourself no matter what time of year. Climbing indoors is a different experience from climbing outdoors. The routes are marked and change on a regular basis to present new challenges to regular patrons. Thanks to auto-belay systems, it’s possible to climb without a partner, making it easy to work on a new problem for a few hours before or after work, and I have found that climbing without a partner sometimes leads to finding new partners. About 4,000 square feet of climbing at High Altitude Fitness means there are plenty of options to explore from easy routes perfect for the first-time climber or a quick warm up to overhanging problems that will challenge the body and mind. A bouldering wall with 46 problems ranging from V0 to V10 gives climbers the opportunity to work on individual problems. Belay clinics and technique classes are available to help first timers get the feeling of hanging on rocks. Additionally, kids camps and competitive teams are a great after-school activity. Shoes and harnesses are available for rent. For more information, visit highaltitudefit.net. 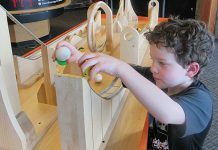 The Truckee Community Recreation Center is home to a 29-foot climbing wall and bouldering area with routes ranging from beginner to advanced. The wall started as a service-learning project by a senior at Sierra Nevada College. 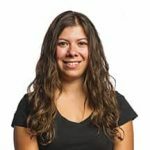 Hoping to share her passion of climbing with the community, Renee Guay worked closely with the staff at the Truckee Community Recreation Center to design and build the wall and create climbing classes and programs that would attract new climbers to her favorite sport. 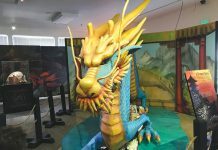 Daily classes and are offered to adults and kids hoping to learn about equipment and technique. The recreation center offers the cheapest drop-in price for climbing sessions in the region at $5. For more information, visit tdrpd.com. The Headwall Climbing Wall located in the Tram building at Squaw Valley features a 30-foot indoor space. Twenty-five different routes will challenge climbers of all ages and abilities. For more information, visit squawadventure.com. 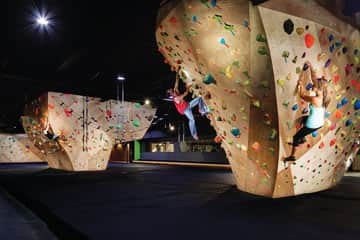 This 7,500-square-foot climbing gym features a 35-foot tall wall with technical vertical and slab climbs. A 35-degree overhanging area provides a challenge for experienced lead climbers or head over to the bouldering wall and brush up on technique. Auto-belay stations are set up for those who are looking for a quick session when a climbing partner is unavailable. Classes are offered for all climbers from beginner to competitive and outdoor classes are offered for those who are looking to get outside of the gym. For more information, visit rocksportreno.com. 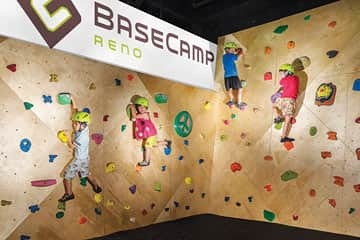 If a 7,000-square-foot bouldering and 3,200-square-foot of climbing space aren’t enough to entice the climber in you, maybe the world’s tallest climbing wall will catch your attention at BaseCamp. 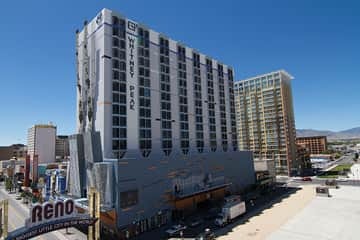 Coming in at 164 feet tall, the BaseCamp’s crown jewel scales the side of the Whitney Peak Hotel above the iconic Reno Arch in downtown. Single and multi-pitch climbs are offered. 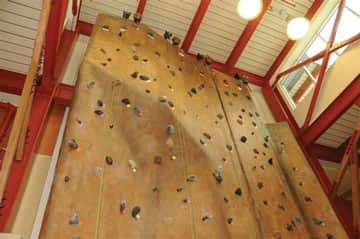 BaseCamp also is home to the only 15-meter speed wall in the country. Climbing and climber’s yoga classes are offered daily. For more information, visit basecampereno.com.